Barack Obama became U.S. President on November 4, 2008 at the age of 47. The son of a black father and a white mother, that an African-American family would occupy the White House, was unfathomable for some. Republican opponents were planning his defeat the moment he took office and there was unrelenting opposition, coupled with a lack of respect for the President because of his race. He came to office facing the worst economic crisis, a stunningly scary moment in U.S. history. Markets were collapsing, major banks were failing, houses were getting foreclosed on and unemployment going through the roof. To end the economic dilemma he inherited, Obama began the crusade of bailout. The GOP establishment hated his idea. His decision to save the economy became politically toxic. Obama met with Republicans in the House to find a solution but all voted against the stimulus though, it later passed. There was a huge desire to stop him. They called him arrogant and unappealing, while some, called his bailout attempt an example of big government. At the same time, General Motors was at the brink of collapsing. Chrysler was facing a shutdown and workers in the auto industry were getting laid off. To save the auto industry and others, the Obama administration injected billions of dollars in a rescue attempt. There was anger fueled by the GOP over the rescue plan, some say Obama was promoting government involvement in private business, while others believed the better approach was to allow the banks and the auto industry to fail. The events led to birth of the Tea Party movement that became an arm of the Republican Party supported by the likes of Paul Ryan and Ted Cruz, two Senators with a goal to impose fiscal policy on government’ spending. Amid the crisis, Obama faced another battle with a troubling social issue. The birther movement began spearheaded by the biggest mouth for the conspiracy, now President-Elect Donald Trump. Race relation was at the worst point in a generation with black youths being killed at an alarming rate, triggering the debate over police brutality and racism in America. 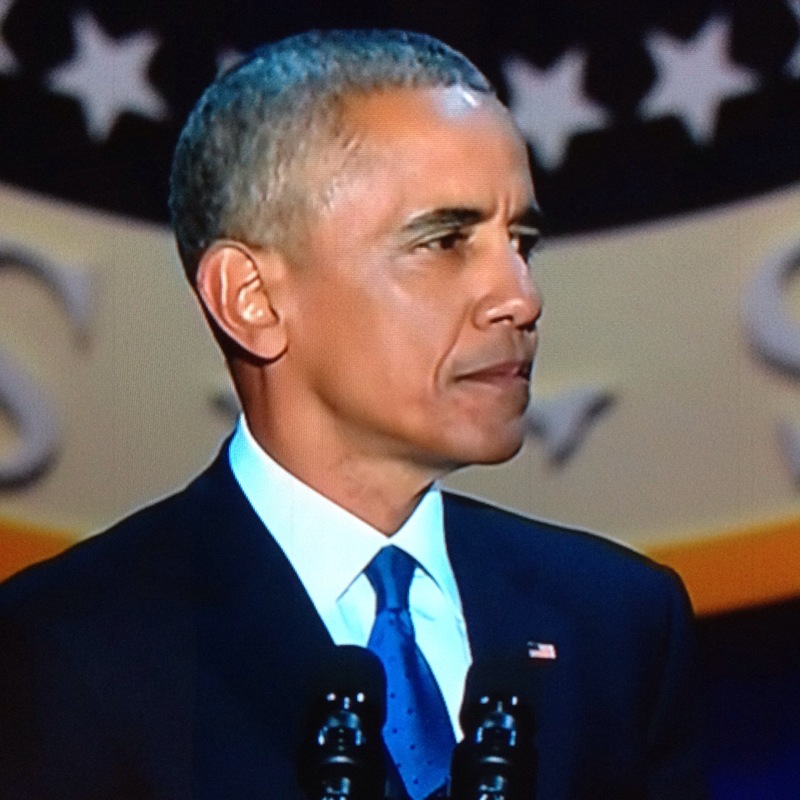 One of the profoundly important moments was when Obama sang ‘Amazing Grace’ at a black church in Charleston after the killing of nine African-Americans by Dylann Roof, a white. While Obama was dealing with domestic issues, chaos descended on major Iraqi cities with the rise of the Islamic State (ISIS). The world became troubled that few radicals could carry out some of the deadliest attacks and the most brutal beheadings ever recorded. The killing of Osama Bin Laden in May 2011, fueled more attacks, while ISIS threatened to avenge his death. With the emergence of ISIS, the opposition blamed the Obama administration for the surge drawdown in Iraq. Unbeknownst to many of his critics, Obama’s predecessor George W. Bush had agreed with the Iraqi government that foreign troops would leave Iraq, after Iraqis protested against a residual force in their nation. Soon after, the crisis in Syria began, triggered by the Arab uprising that started in Tunisia and later spread to Egypt and Bahrain. The opposition that was successful in Tunisia and partly in Egypt but crushed by the Saudis in Bahrain failed to materialize in Syria. The West including the U.S. miscalculated its effect on Syria and after realizing the opposition was failing against Assad, Obama initiated a ‘red line’ in August 2012 that the Syrian government must abide by to avoid a U.S. attack. Meanwhile, Al Qaeda in Iraq took arms after the government of Nouri al-Maliki, failed to form an inclusive government, causing an ethnic clash between Shiites and Sunnis in Iraq. While the situation in Iraq became worse, the Assad government crossed the red line set by the Obama administration but, the U.S. refused to act and instead, Obama requested Congress approval with the belief that the American people were weary of another war. In 2013 ISIS took over Raqqa and then marched into Iraq, while it created an Islamic State. Syria became a war zone with a massive flow of refugees to foreign nations especially of Europe. The death toll was beginning to rise as the Assad government unleashed attacks indiscriminately on the opposition. 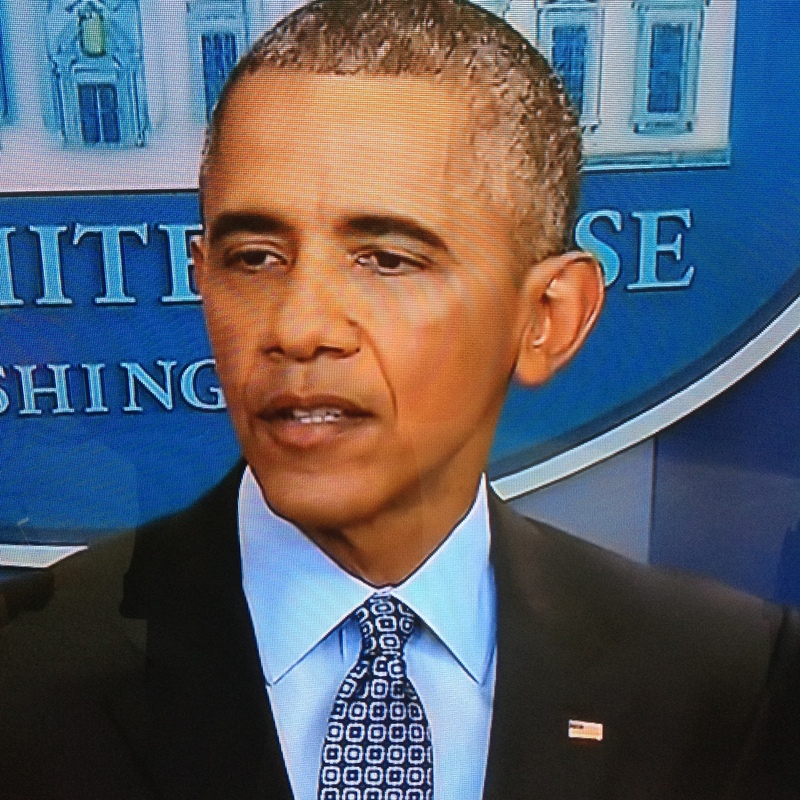 Domestically, Obama struggled with 2nd Amendment issues with the breakdown of massive shootings here at home. The attack at Sandy Hook elementary became a tug of war between Obama administration and the NRA. The President became frustrated because the nation did not have reasonable gun control legislation, while the killings continued under his watch. The Republican took leverage of Obama’ stance on gun control by mounting an opposition against his approach to guns. In 2010, the midterm election became a disappointment for Democrats by losing both the House and the Senate to the GOP. Amid the controversies came the shootings in Aurora Colorado, where many were killed in a movie theater. The shootings at Newtown, finally made Obama to take Executive action on a bill that would make sure that all gun dealers are licensed and also ensure background checks are done on potential gun buyers. The NRA has not seized fighting the legislation till this day. In the final days of his presidency, Obama campaigned relentlessly for Hillary Clinton, in a move to protect his legacy. But, with the outcome of the election on November 8, most of his social achievements now run the risk of being erased by President-Elect Trump. His signature healthcare plan ObamaCare may face a repeal if Trump fulfills the promise he made during the campaign though, many believe a repeal would create outrage. The Supreme Court is now at the verge of becoming a majority conservative with the rejection of Obama’ nominee Merrick Garland, while it is unclear what would become of Gay marriage and the issue of abortion. The Executive order to stop deportation of the undocumented and a Dream Act designed to protect child arrivals is now at risk with the election of Donald Trump. Obama’ foreign policy of none intervention and not engaging in unnecessary war, could be abandoned under the Trump administration. His policy in Syria may soon change with a new leader bent on “bombing the s**t” out of Syria. And with so much opposition over the surge drawdown, American soldiers may find themselves returning to Iraq, while Obama’ nature of warfare with drones and new technology, may experience a change with Trump. America’ policy in Iran may soon change under Trump who has promised to throw out the deal. The U.S. in a Trump administration may become closer to Russia, running the risk of giving Putin more leverage over Russia’ neighbors and complicating U.S. intelligence. Obama’ success on Climate Change is now facing threat from a President-Elect that questions the validity of Global Warming with the nomination of Scott Pruitt, a critic of the Environmental Protection Agency as one to head the EPA. For years, Republicans have called Climate Change a “scam.” In 2015, Obama took Executive Action on Global Warming as a key part of his legacy but his move to combat Climate Change may now suffer defeat. The largest reorganization of the financial industry, may suffer a set back since Trump and the GOP establishment are threatening to end Dodd Frank and other consumer protection laws that helped ease the economic crisis of 2008. With Trump about to take charge in January, many of his supporters are waiting for him to deliver on his promises. And while fulfilling his promises may mean overturning Obama’ major achievements, one must agree that Democrats and Obama’ supporters would not sit and watch Trump destroy his legacy. ‹ SHOULD THE UNITED STATES SCRAP THE ELECTORAL COLLEGE ?